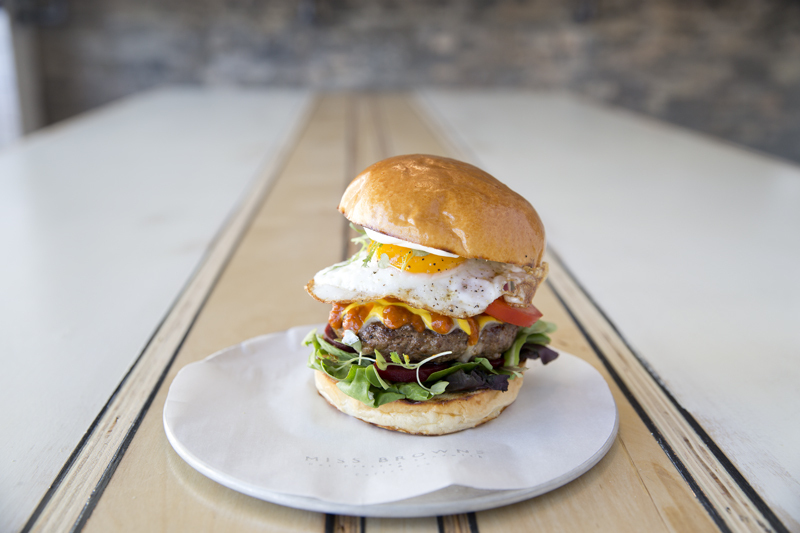 The countdown to Burger Week 2015 is on!! 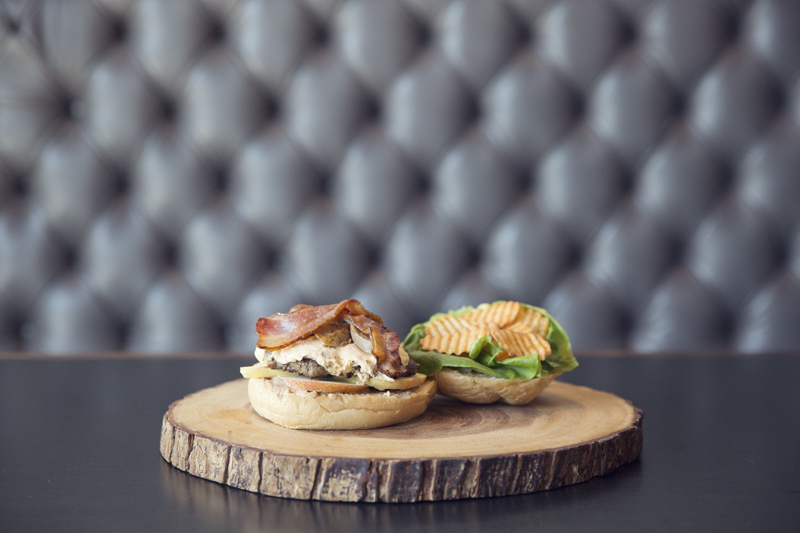 From September 1st – 7th over 40 Winnipeg restaurants will be participating in the 3rd annual burger battle. 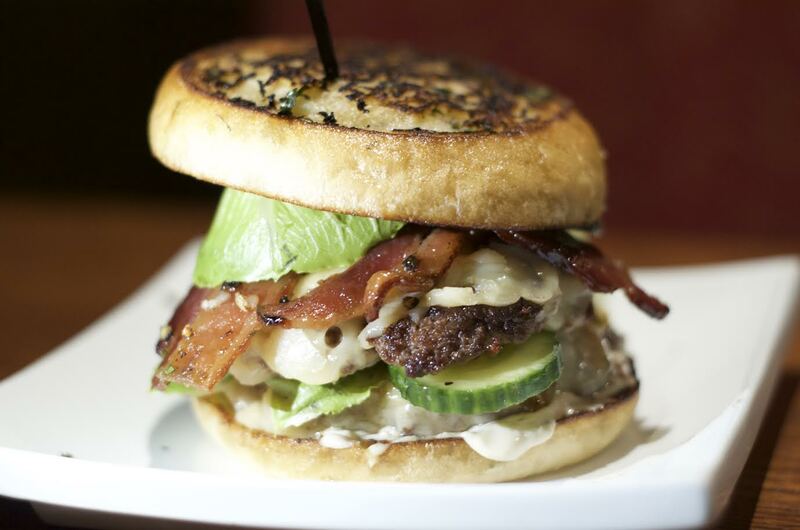 Your job is simple, go eat as many different burgers as you can and vote for your favourites! 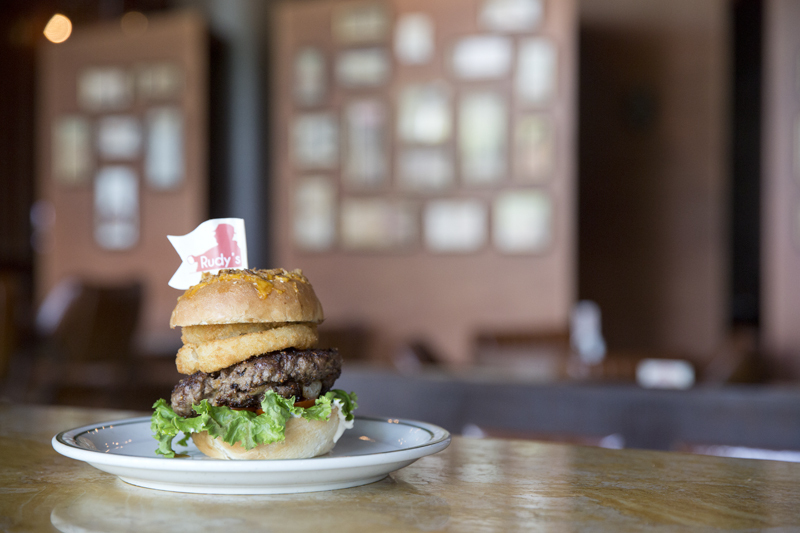 You can find all the participating restaurants and how to vote by downloading the Le Burger Week app. In the meantime, take look at this years entries (in no particular order) and get those tastebuds ready because next week is going to be deliciously amazing! Enjoy and happy eating from your friends at Charcoal Collaborative. Celebrating all your favourite 90s trends! 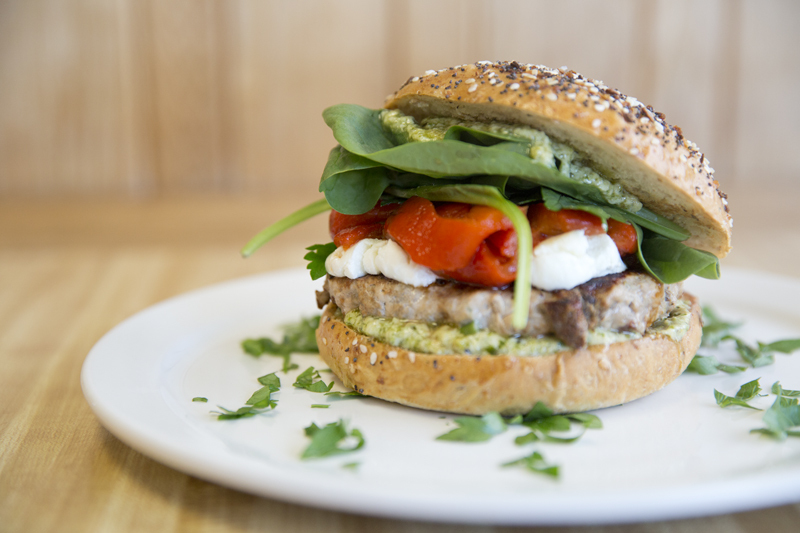 Sundried tomato turkey patty with roasted red pepper, pesto mayo, goat cheese and baby spinach on a whole wheat everything bun. Garnished with chopped parsley, of course. *Also available with a gluten free bun. 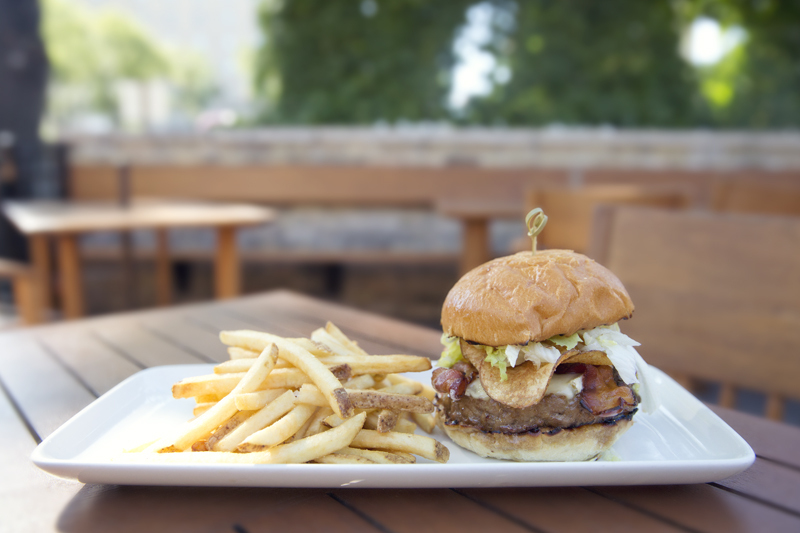 The Keg’s signature 8oz prime rib burger with jalapeño aioli, maple butter, bacon, melted brie cheese, shredded iceberg lettuce and house-made crispy chips on a toasted bun. 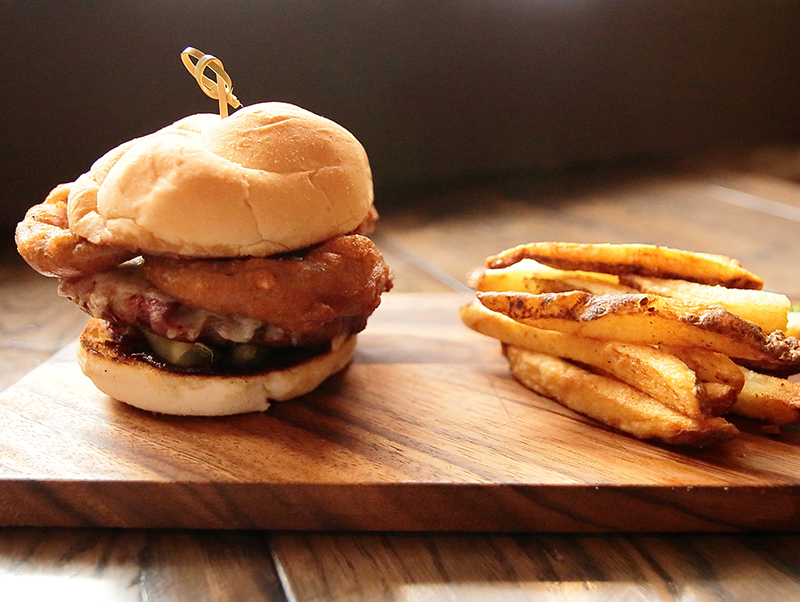 This burger is next level. 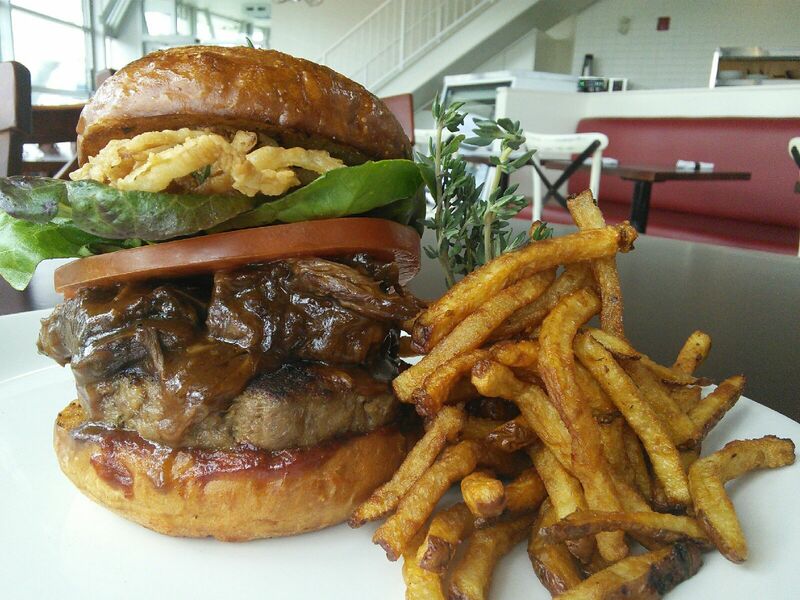 Bacon wrapped bison burger with smoked chipotle fig jam, gruyere and beer battered onions. 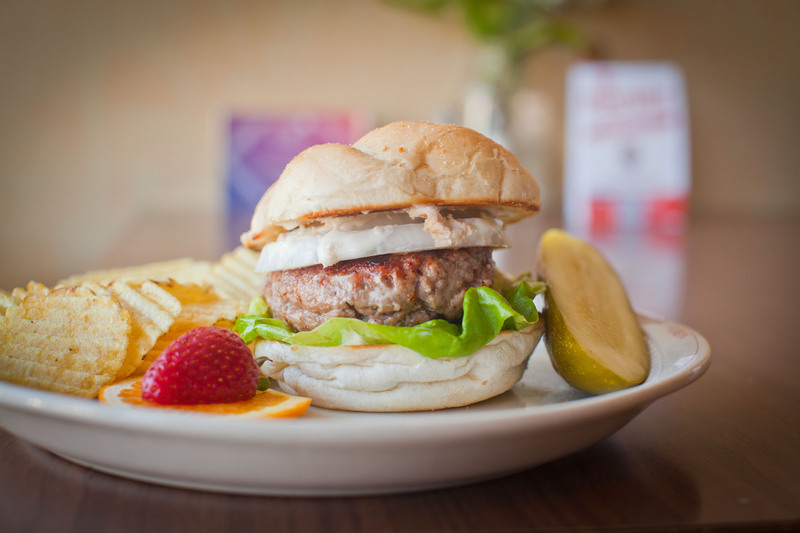 A beef/lamb patty, bursting with flavour from our secret blend of Shawarma spices, layered with our falafel patty grilled to perfection under a perfectly melted slice of mozzarella. 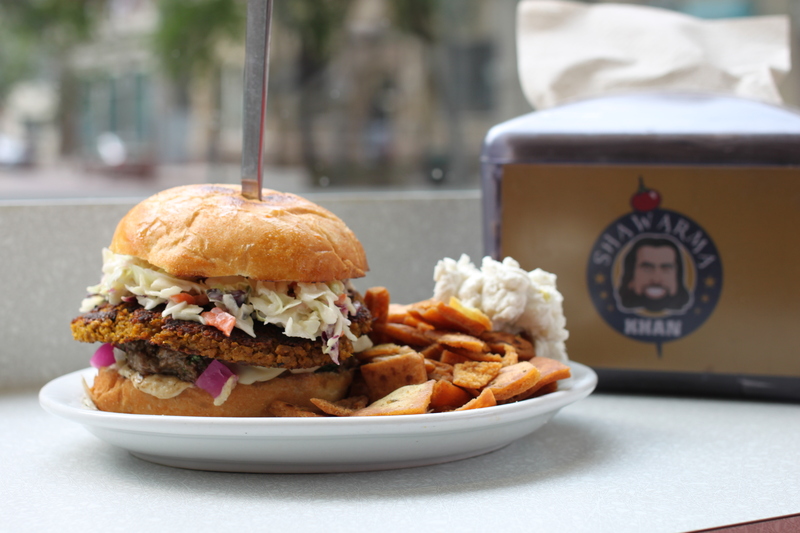 All topped with creamy coleslaw, pickled turnips, harissa garlic sauce, and our signature hummus on a freshly toasted kaiser bun. Served with a side of our classic pita chips and house garlic sauce. KHAN you handle it? Beef vs pastrami. swiss vs asiago. 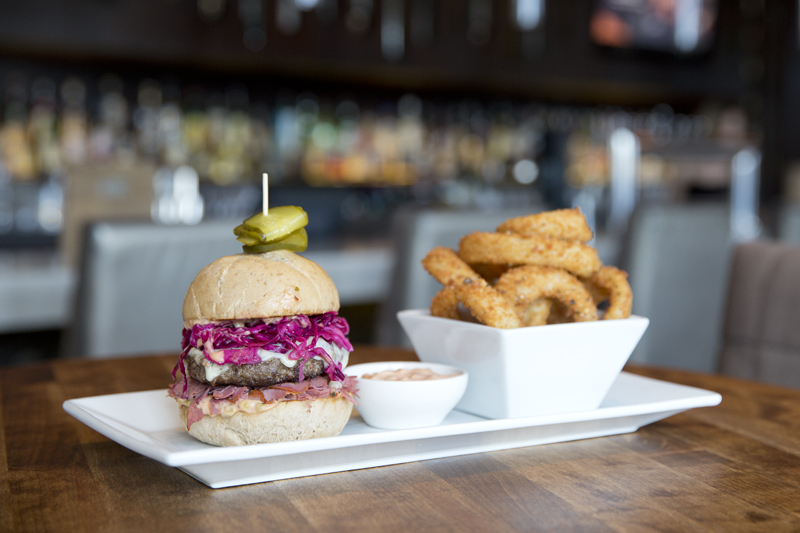 House-made Russian sauce and pickled red cabbage shift nervously on the edge of their seats. The daily-baked Winnipeg Rye can barely hold them back. This is gonna get messy. 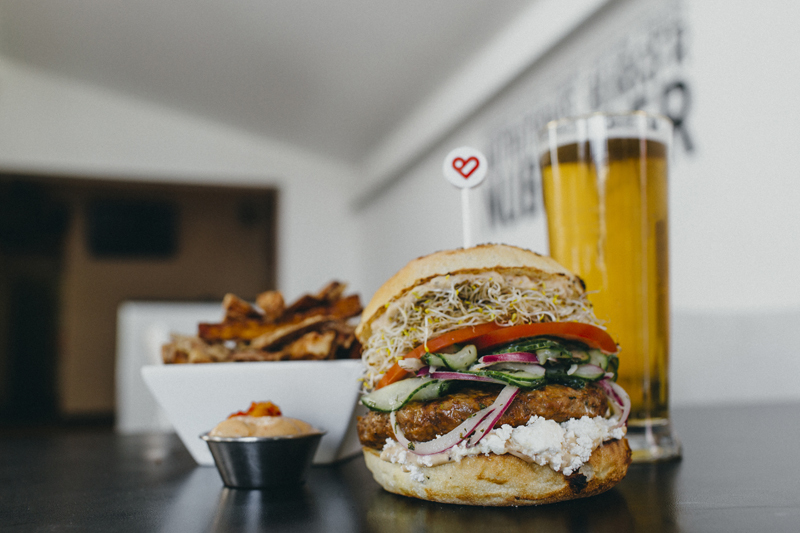 Free-Range Manitoba Red Angus beef patty, homemade roasted pepper n’ basil aioli, creamy feta cheese, fresh tomato, & alfalfa sprouts, pilled high with a zesty cucumber mint salad. 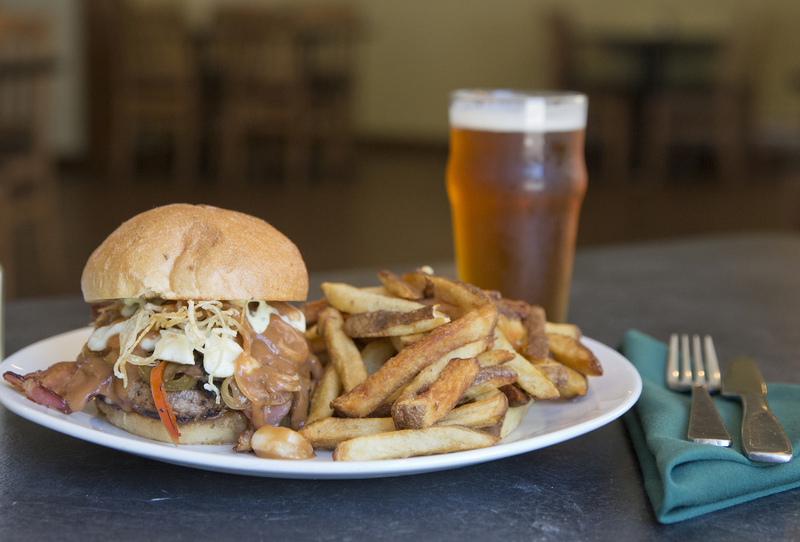 6oz ground chuck patty stuffed with Bothwell cheese curds, topped with sautéed onions, mushrooms and peppers, basil mayo, two strips of bacon, more cheese curds and crispy shoestring potato’s on a potato scallion bun. Finished with gravy. 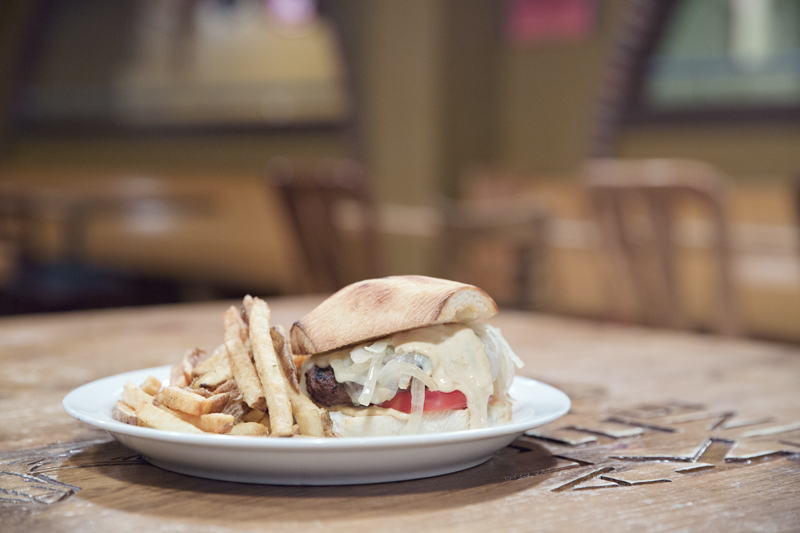 Served on ciabatta bun with a garlic mayo, cheese, tomato and Jameson-infused sautéed onions and house fries. 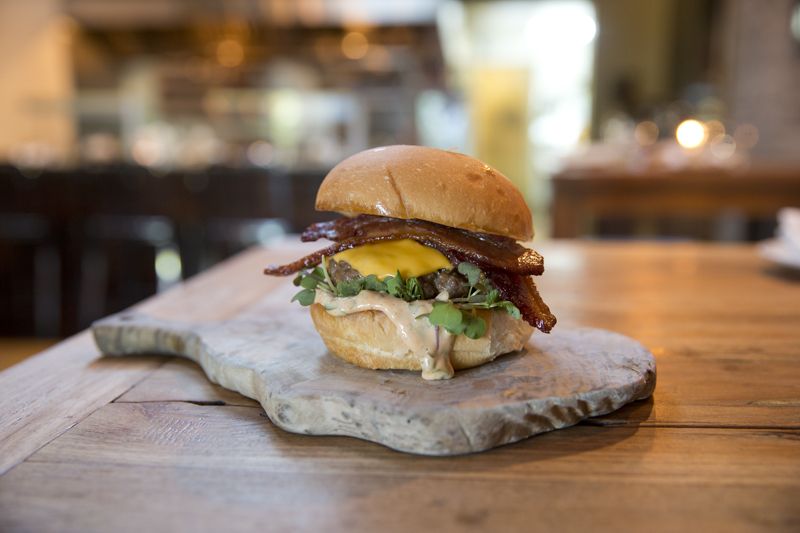 All beef burger, American cheese, double smoked bacon, remoulade, brioche bun. 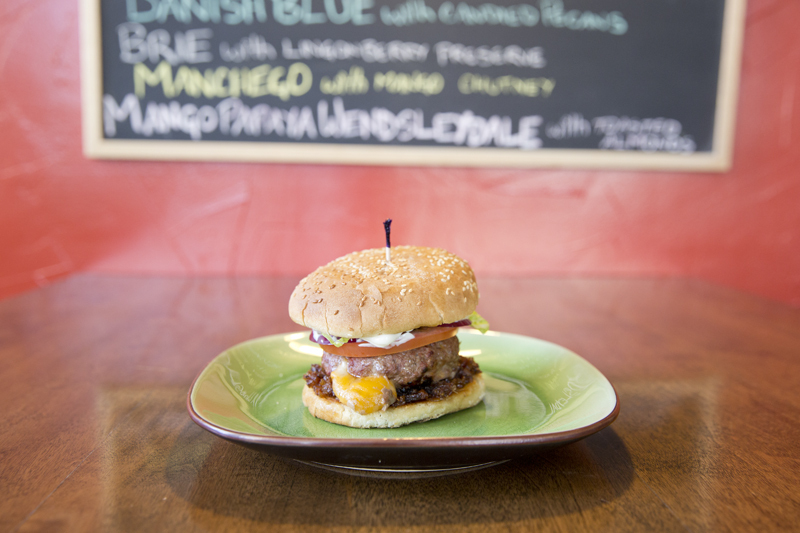 Chorizo patty w/ queso fresco jalapeño sauce, chicharrons, lime cilantro aioli and more. 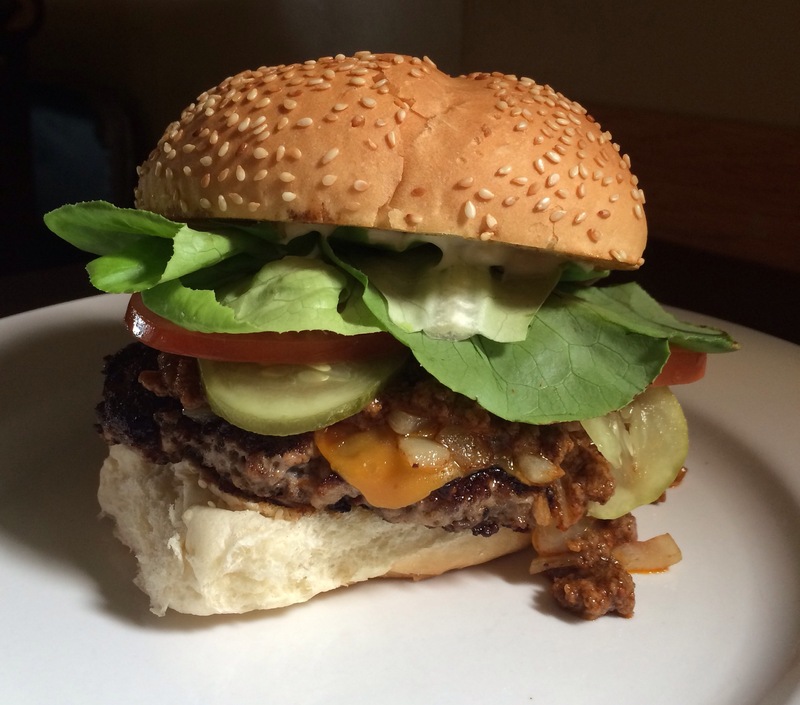 A house-made patty using a special blend of brisket and chuck. 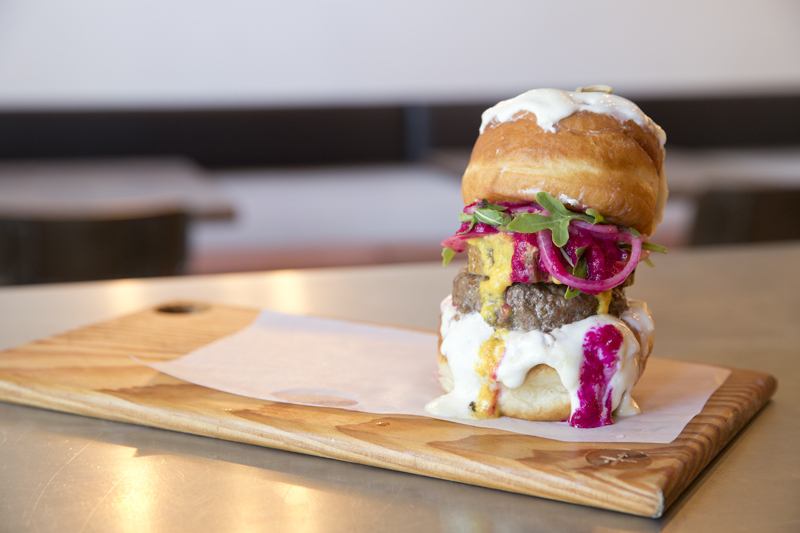 Thick chunks of hand-cut, sweet-roast pork belly, pickled red onion, arugula, spicy pineapple mustard and roasted beet ketchup all in between two custom-made goat cheese glazed bronuts. 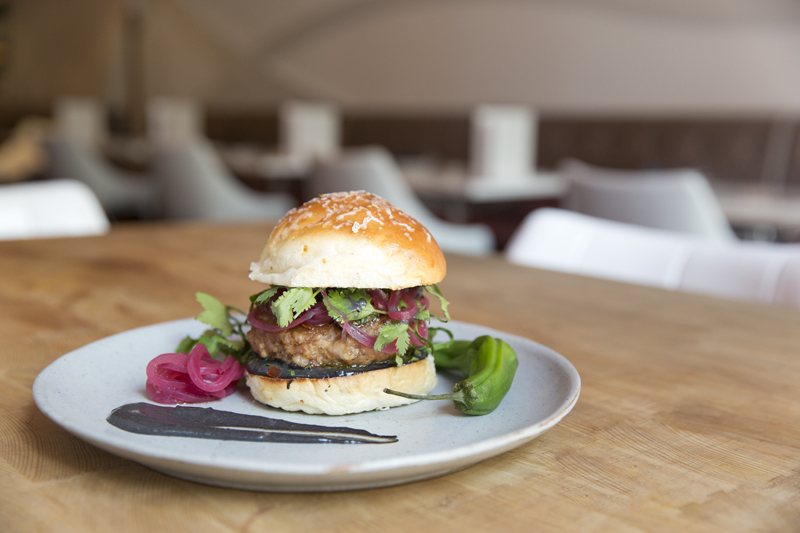 Chorizo pork burger with salsa verde, black aioli, sherry pickled onions on a house-made manchego bun. 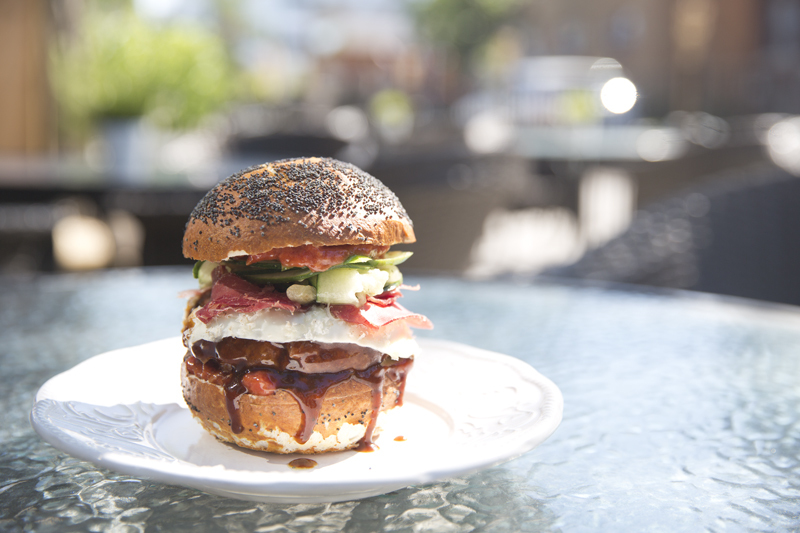 Poppy seed pretzel bun, Kobe Beef patty, n’Duja ketchup, tartufo cheese slice & cucumber agro Dolce. 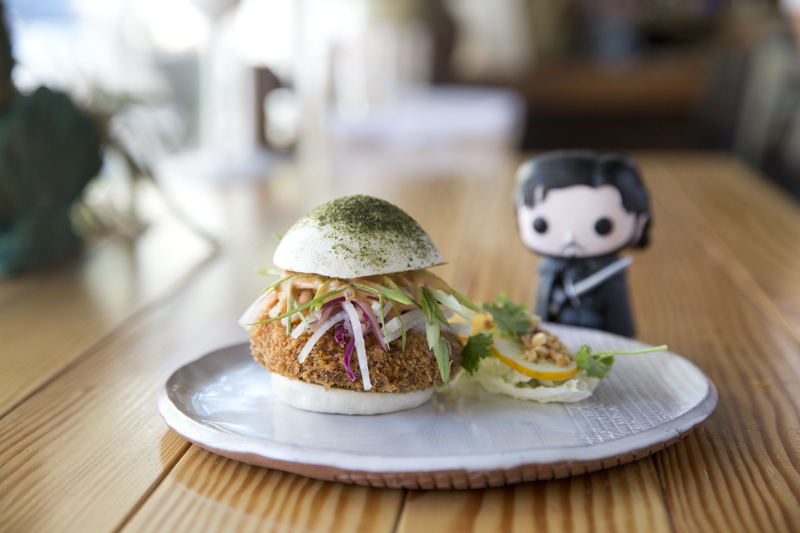 In house made beef patty, chedda, swiss, all the fixings on an in house made pao de queijo. 6 oz. Certified Angus Beef patty, jalapeño goat cheese spread, bacon, fresh apple, sliced chorizo sausage, caramelized onion and roasted red pepper aioli, topped with butter leaf lettuce and Sriracha chips on a Kaiser bun. 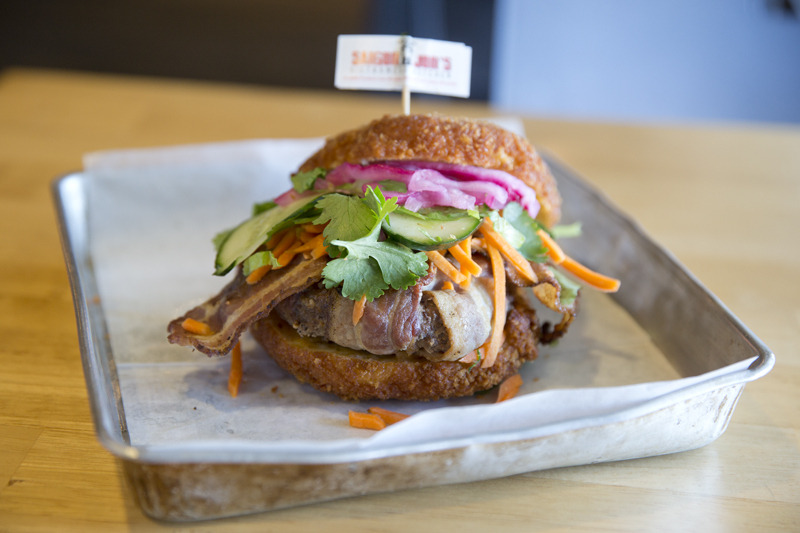 Deep fried mac and cheese bun, deep fried bacon encased beef patty, romaine, pickled cukes/carrot/red onion, Sriracha mayo. BOOM! Caramelized onion, havarti cheese & house bacon stuffed in a freshly ground 100% steak patty on an onion cheddar bun topped with house-made Onion Rings. 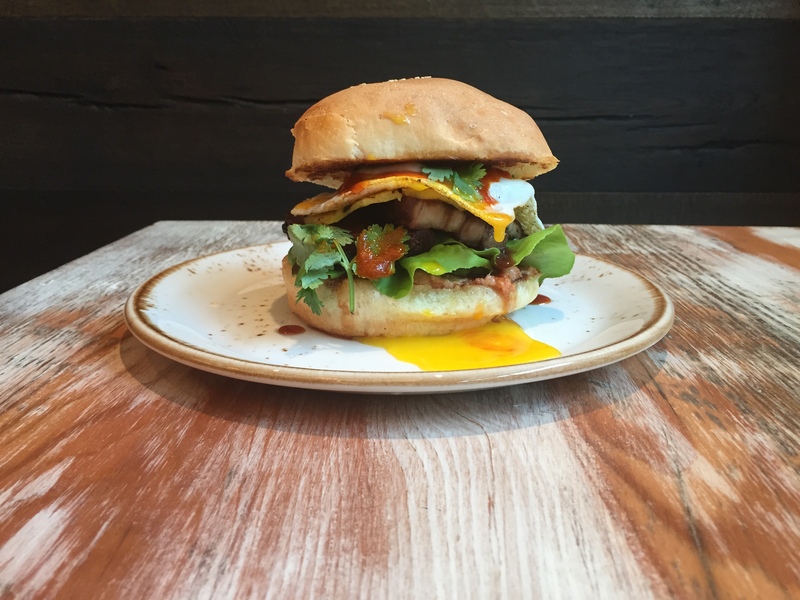 50/50 beef and pork chorizo patty with smoked apple compote, gouda, kale, toasted almonds and pickled crimson chilis. Slow roasted pork belly, pork pate, cilantro, Sriracha mayo, grilled pineapple, fried egg, sweet and sour BBQ sauce, sesame seed bun. 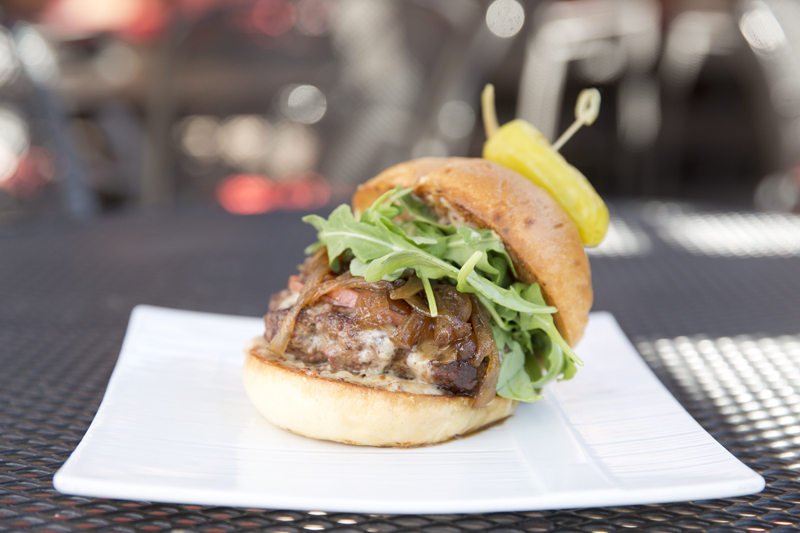 Ground sirloin burger with maple balsamic caramelized onions, Canadian back bacon, smoked cheddar, dijon aioli, arugula. 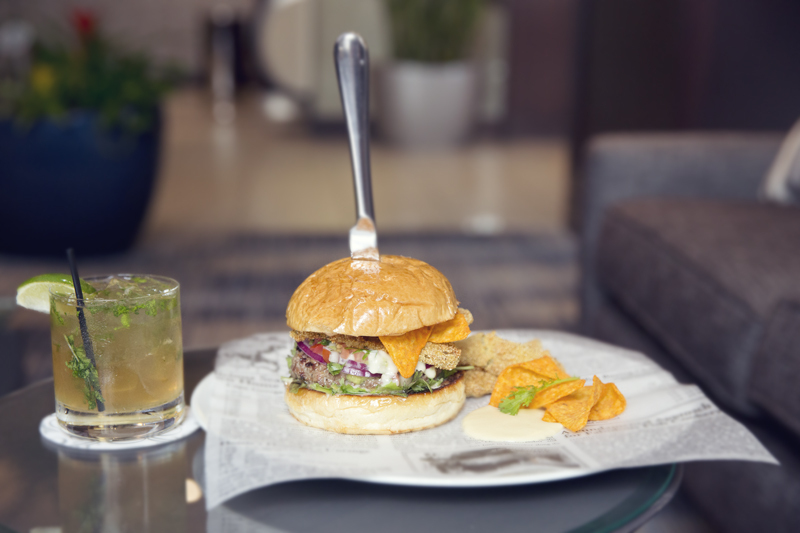 Ancho cumin beef burger, guacamole, pica de gallo, cheese sauce, crushed doritos, pickle chips, red onion and Sriracha crema on a brioche bun. Double beef patties, 3 of strips Brogue bacon, mozzarella cheese, granna podano parmesan cheese, caesar dressing, crispy romaine heart, cucumber. 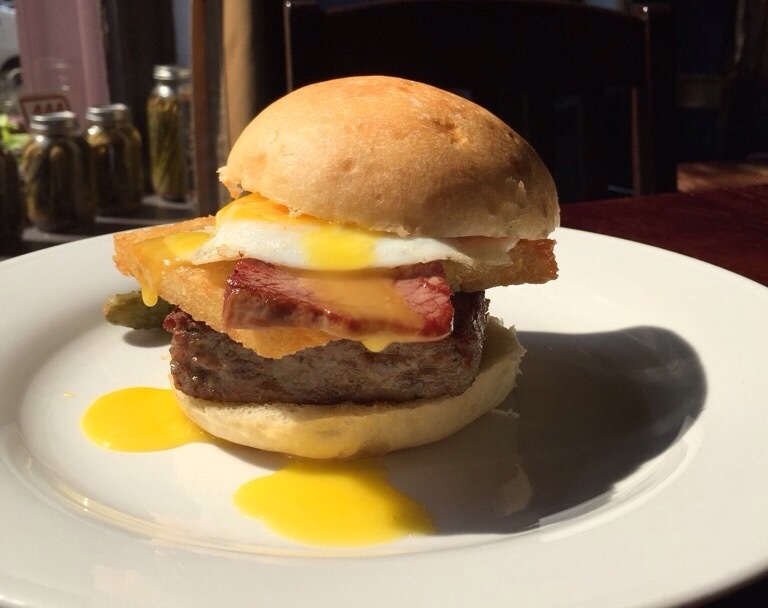 Maple sage Berkshire pork patty with a tater tot patty, corned beef, a fried egg and Sriracha ketchup on a brioche bun. 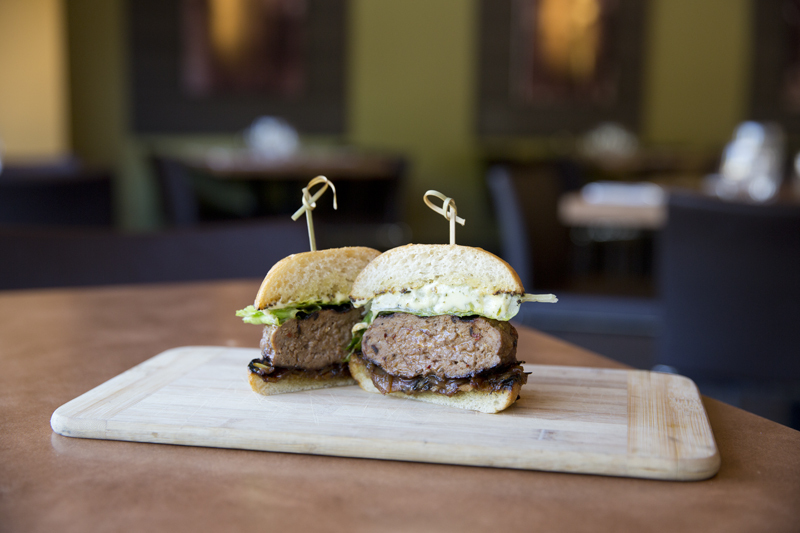 N’duja Burger with roasted shallot relish and herb aioli, served with side green salad. 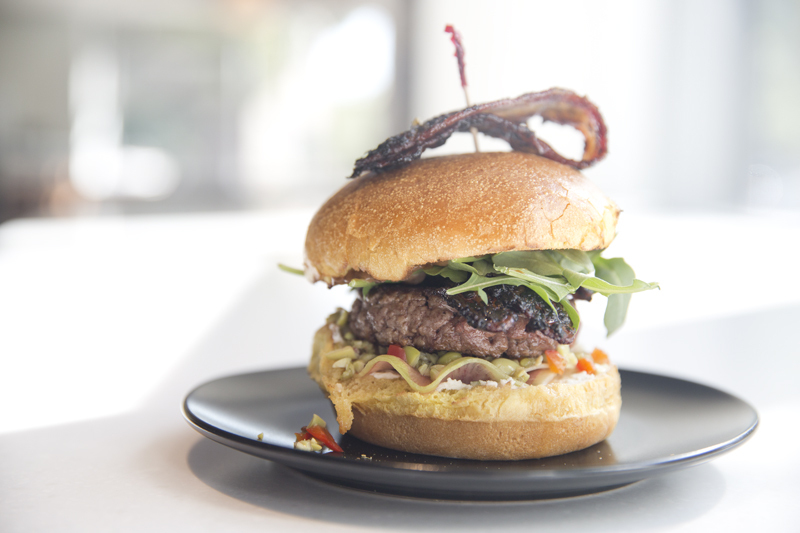 Manitoba Beef Patty soaked in bacon fat, goat cheese, nori bacon, watermelon radish, arugula, black garlic aioli, edamame chow-chow on brioche. 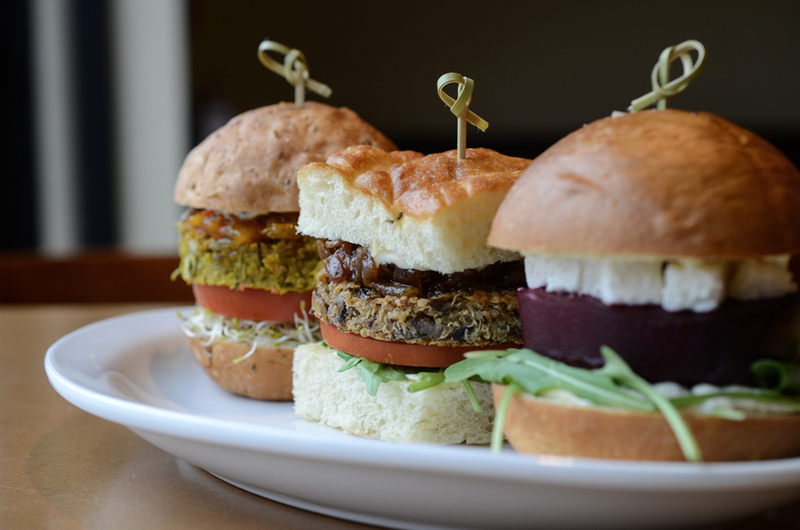 trio of half size veggie burgers (GARDEN, QUINOA, and BEET). 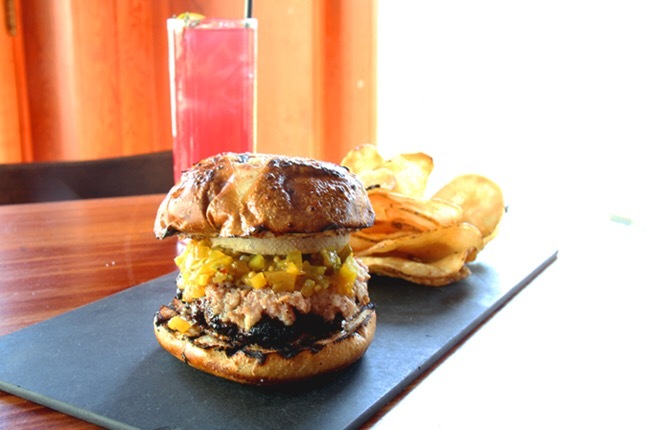 Ground Chuck, green tomato relish, tomato, aioli on a pretzel bun. Pork, beef and cheese. 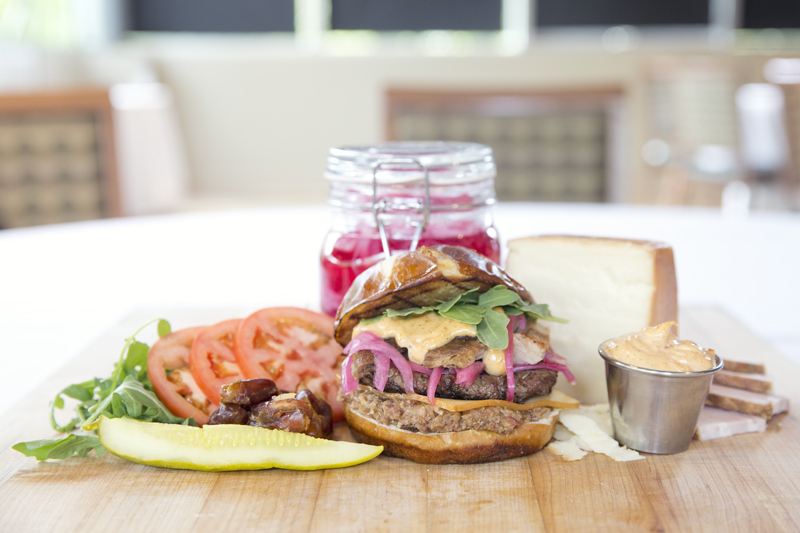 (PBC) 5oz home-made burger patty with sous vide pork belly, Bothwell maple smoked cheddar, fresh bacon jam, arugula and pickled red onion served on a warmed pretzel bun with chipotle aioli. 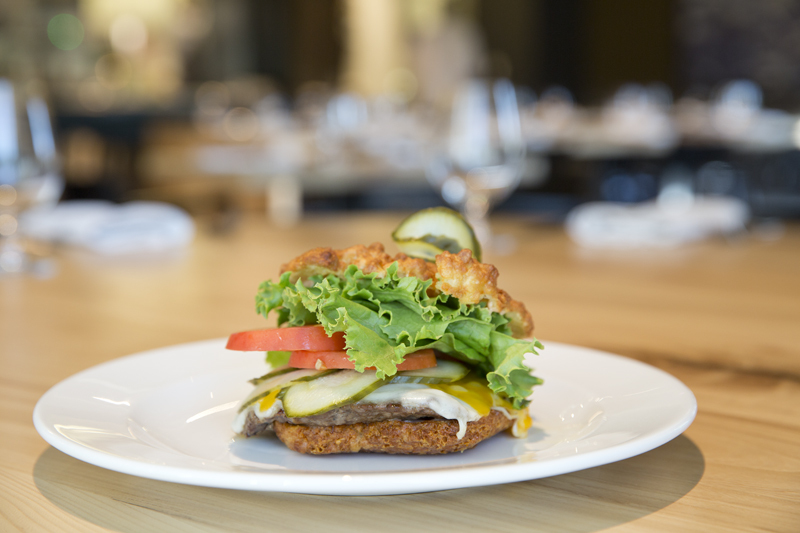 Our house-made 6oz beef patty filled with smoked cheddar, smothered in bacon jam, and topped with breaded jalapeños (from our garden), lettuce, red onion and tomato. 2 beef patties, bacon, pastrami, salami, American cheese, egg, lettuce, tomato, fried onions, dressed with hot mustard and horseradish sauce on a sesame seed egg bun. Brisket patty, braised shortrib, crispy onions, tomato, lettuce and chipotle BBQ on our houser made rosemary brioche buns. 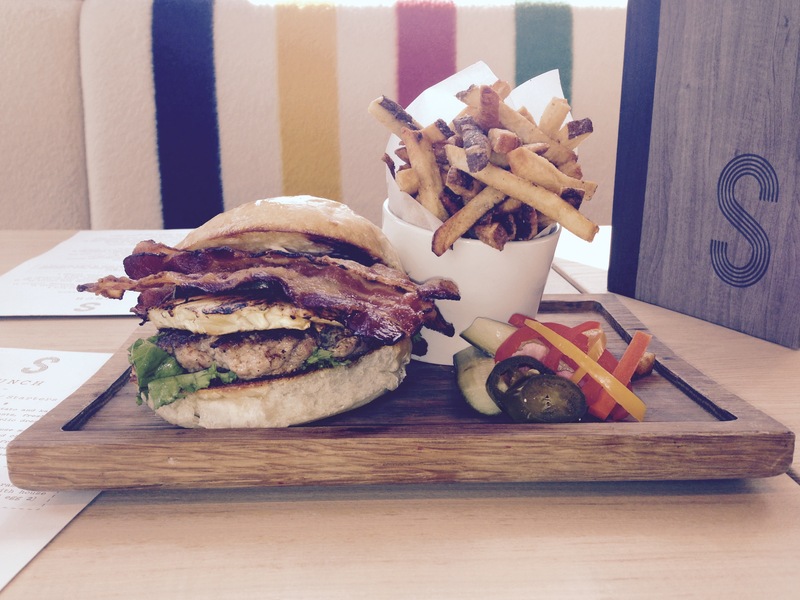 SMITH spiced pork burger with house cured bacon, grilled pineapple, Fort Garry Beer mustard. 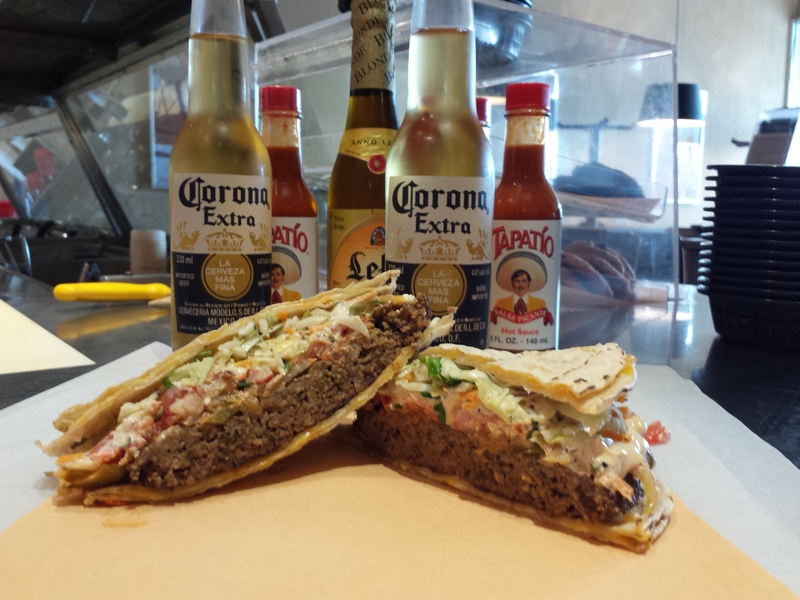 Tasty Mexican spiced beef patty, mexi-slaw, marinated onions & peppers, queso fresco, pico de gallo, chipotle mayo, cilantro, lime and jalapeños (if you dare) sandwiched between two cheese quesadillas (Gluten Free). 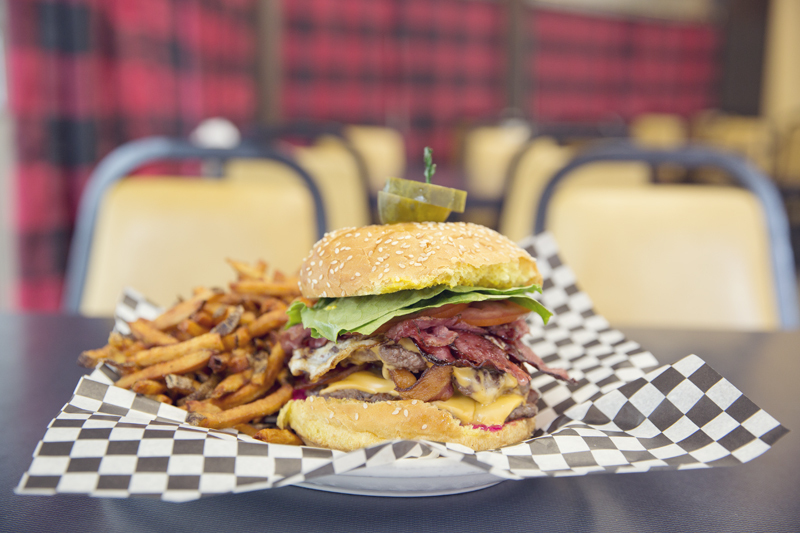 An ode to the Winnipeg classic Fat Boy. 8oz patty smothered in chilli, topped off with aged cheddar, finely chopped onions, butter lettuce and fresh tomatoes served on a kaiser. 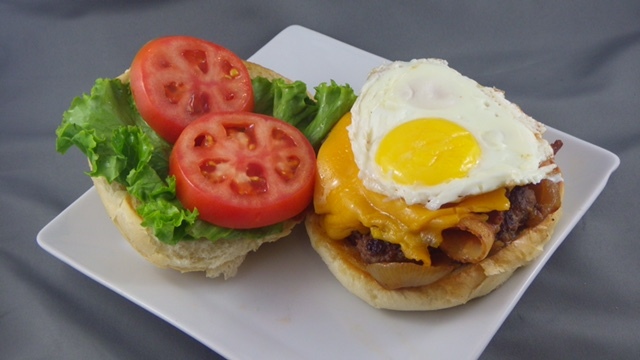 A home-made burger, topped with cheddar cheese, bacon, lettuce, tomato, onion and BBQ sauce topped with a fried egg.